Does the truth about a legend matter only to those who believe in it? Or does the propaganda about a legend matter more than the truth? 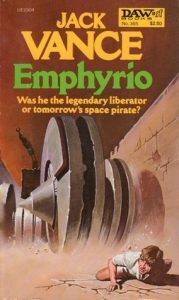 These questions came to mind after reading Emphyrio by Jack Vance. Vance has been considered one of the giants of the science fiction and fantasy genre and has a body of work cementing that reputation. I have decided to review more of the genre’s grandmasters to get a wider perspective of the genre as a whole. I started last year with Robert Silverberg, continuing with Jack Vance and have Zenna Henderson to review soon. 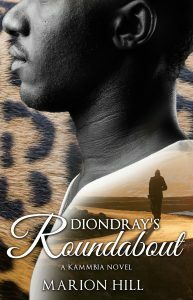 Emphyrio is considered of Vance’s best standalone novels and a good entry point into his work. It is the story of Ghyl Tarvok, a young man who has taken a keen interest in the legend of Emphyrio. However, Tarvok lives in the city of Ambroy on the planet Halma where the lords have a created an utopian society and believes the legend belongs to the past. Ghyl’s curiosity and rebellious nature leads him to a discovery about the legend of the Emphyrio uncovering to true reason why the Lords of Halma tried to keep the legend as a distant memory. Vance writes a straight-forward coming-of-age adventure story in Emphyrio. But, the colorfulness of the world is where Vance really shines. The goal of an adventure or imaginative story is to make that fictional world feel like something you could actually picture. And it makes you forget about your world for the entire reading experience. Emphyrio succeeds on that level. If you are looking for a novel to escape into and lose yourself for a few hours (it’s only 208 pages), then I will recommend Emphyrio by Jack Vance. This is my second Vance novel and I’m beginning to see why he was a favorite for many of the genre’s best writers.